"Our guys on the field"
I ended up at Biisoni when I had a summer job with their client, and at the end of the summer the client suggested that I continue working enlisted at Biisoni. I started at Biisoni in September 2015, so I passed the 18 month mark a while ago. During this time I’ve visited Austria, Canada, Turkey, USA, Sweden, and Italy, to name a few. The best thing at my job is its versatility. There are so many different machines that I’m constantly learning new things. In practice, my job as a Machine Test Operator means doing the final check before sending the machine out to customers to be installed. It includes running test programs, testing, and possibly making adjustments if problems arise. After the final check the machine is packaged and sent to the customer. In addition, I have done installation jobs abroad. Installation work is done with a few other team members, and last year I accumulated around 100 travel days. I don’t think of traveling as an inconvenience – I think it’s very interesting variation to my normal routine. I expect versatile and challenging tasks in the future. 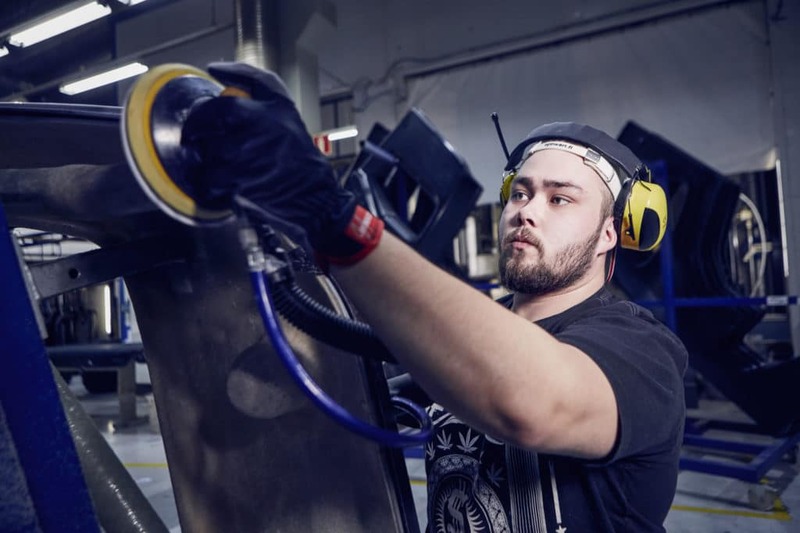 After May Day, Sami-Jussi is moving on to work for a client as a Machine Test Operator. Travel days will probably double from what they are now. As a Machine Test Operator you travel alone, unlike in the previous installer mechanic job. I’m looking forward to getting to know different cultures around the world. I have recommended Biisoni to my friends and family, and my girlfriend for example has worked for Biisoni in Oulu during her studies. 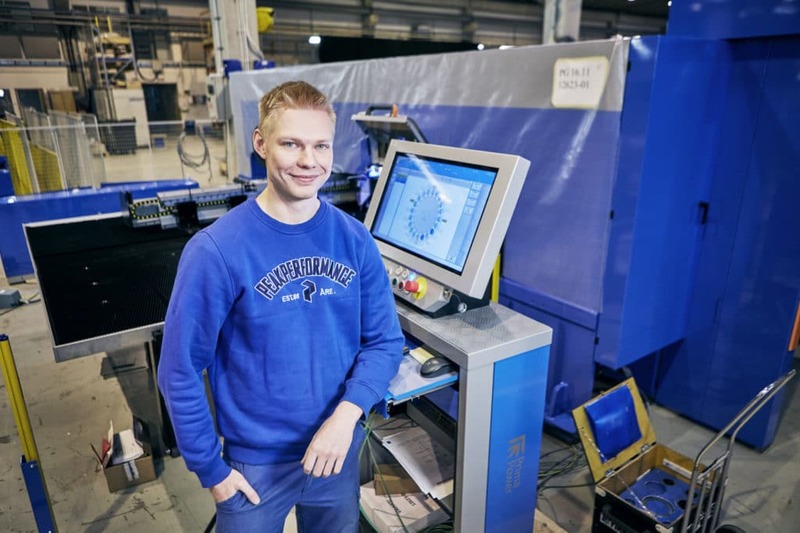 We thank Sami-Jussi for his excellent work thus far, and wish him the best of luck at his job as a Machine Test Operator. "Things are done as it should"
I have worked for two of Biisoni’s clients. I found an interesting job advertisement on the Employment and Economic Development Office website: a position in the plastics industry for which I decided to apply. I’ve worked in my current job for six months, and I’ve enjoyed it. I’ve received good feedback for my work, and I recently got good news when MSK Plast told me they wanted to hire me as a permanent employee. Biisoni and MSK Plast have always taken good care of me, and I don’t have any complaints. My contact person was truly happy and congratulated me when they heard of my permanent position. I can recommend Biisoni as an employer for my friends and acquaintances, and I don’t feel like my employment has been in any way unusual even though I’ve been working through a staffing service company. In my job I finish components coming from the robot, and the work is quite easy and meaningful. Shift work has its good sides. On Mondays the weekend feels longer when I have the evening shift. I’m happy with my employment at Biisoni, and everything has always been done as it should. We thank Matias for his great efforts and wish him a successful employment at MSK Plast!